As founder of ToySoldier 1:18, I'd like to congratulate the entire group for a successful TV appearance this morning's Umagang Kay Ganda on ABS CBN. 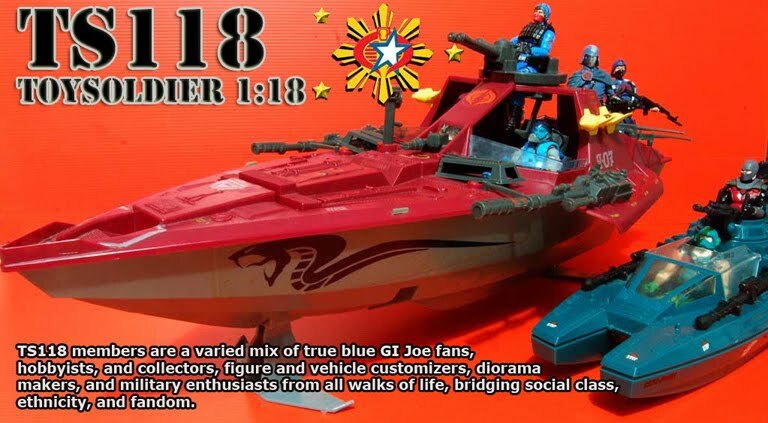 Founded in April 2004, TS118 is the Philippines' only local online community that focuses on 1:18 scale action figures, usually military in theme. While primarily, but not necessarily confined only to collecting the widely popular GI Joe 3 3/4 inch toy line, members also collect other brands that fall into similar scale such as BBI Elite Forces, Forces of Valor, 21st Century XD, Star Wars, DCIH & Marvel Universe among many others.